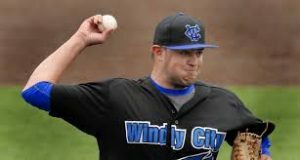 The franchise known as the Windy City ThunderBolts started as the Will County Claws in 1995 and called their home at Lewis University’s Brennan Field in Romeoville, Illinois. The Claws played in the struggling North Central League which started in 1994 with six teams, but only fielded four in 1995. The North Central League folded 18 games into its second season with the Claws finishing at 8–10. In 1996, the Will County Cheetahs joined the new four-team Heartland League. 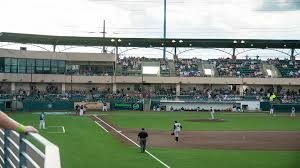 In the winter of 1997, the Cheetahs and the city of Crestwood, Illinois, made a deal for Crestwood to build and own a brand new, state-of-the-art ballpark for the Cheetahs. Despite the high hopes for baseball in Crestwood for the 1998 season, it was quickly obvious that because of construction delays, the new park would not be ready. The Cheetahs needed a home field and with Romeoville not an option, neighboring Midlothian would be the solution to the Cheetahs’ home field problem as they would play their 1998 season at tiny Howie Minas Field. In Midlothian, the Cheetahs would have one of their best seasons finishing in 2nd place with a 37–29 record in the first half and earn a playoff spot for the first time in franchise history. In the Heartland League Championship, the Cheetahs would sweep the heavily favored Tennessee Tomahawks 2 games to 0 to gain the franchises first title. The Heartland League started the 1998 season with six teams and finished with only four teams. The Cheetahs, now known as the Cook County Cheetahs, won the last ever Heartland League Championship as the league folded after three seasons. In 1999, the Cheetahs joined the stable Frontier League and have been members since. The team changed their name to the current Windy City ThunderBolts. An ownership change instigated the name change. On August 26, 2007, the ThunderBolts won their first Central Division title. On September 17, 2007, they defeated the Washington Wild Things to win the Frontier League championship, three games to two. In 2008, they repeated a Division Title as the West Division Champions and Frontier League champions, defeating the Kalamazoo Kings three games to none in the championship series. (Note: After heavy rains flooded Homer Stryker Field the entire 2008 Championship series was played at the Windy City Thunderbolts Standard Bank Stadium.) They thus became only the second Frontier League team to win back-to-back titles, joining the 2001–02 Richmond Roosters.